Through painting, Alex Gough aims to challenge notions of materiality, visuality and photography in art and, subsequently, the relationship between painting and experience. On 2nd June Alex joined us at Gallery Elena Shchukina to discuss his works, which are currently being exhibited on the lower ground floor. During the tour of his work, Alex explained the process that he implemented to create the individual pieces. He works on two surfaces, one on top of the other, which creates a dialogue within the work. The bottom layer, often vivid in colour, is obstructed with a 'veil' placed over the top. This veil clouds the vision, slightly obstructing the subject. 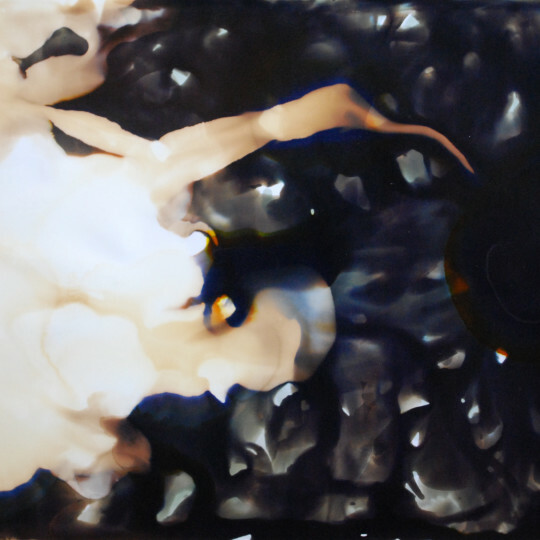 In order to have full control over his works Alex creates all his own paints from pigments. Alex began making his own pigments after creating a series of several experimental works on household inkjet (printer) paper. 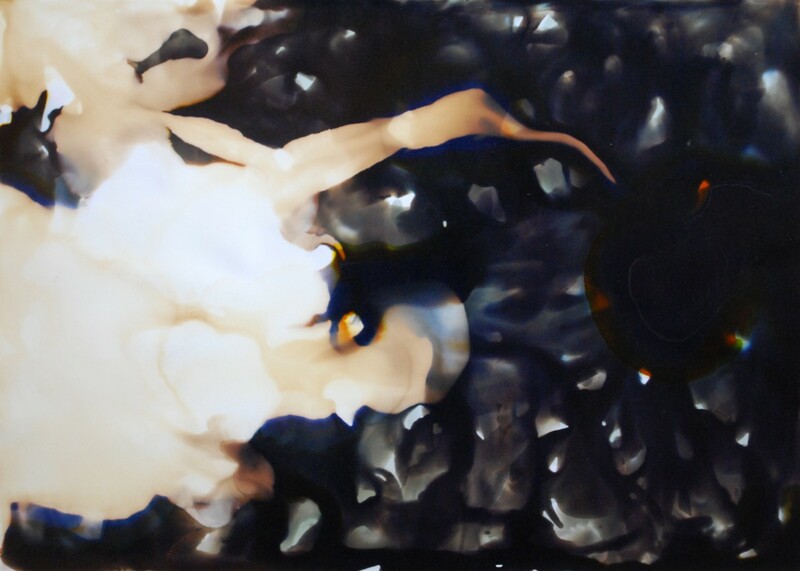 In this first 'Wilderness in Paint' series (2011), Alex abandoned his earlier, figurative work in order to pursue an aesthetic that focuses on the paint itself. He also used bleach in conjunction with pigment, a technique whereby the bleach breaks down the pigment into swirls of its component colours. Alex has no desire to dictate to the viewer how they should view his work, as he believes that paint does not speak a definitive language. Instead, it influences thoughts and sparks ideas within the imagination. He speaks with enthusiasm about his Finnish heritage, an obvious influence in his works. If you have not yet had a chance to see the Hetki Eramaassa installation, we hope to see you at Gallery Elena Shchukina soon. If you would like to meet with Alex Gough to hear him talk about his works, please email us at info@galleryelenashchukina.com to arrange a meeting.